What is the Beauty Complex? 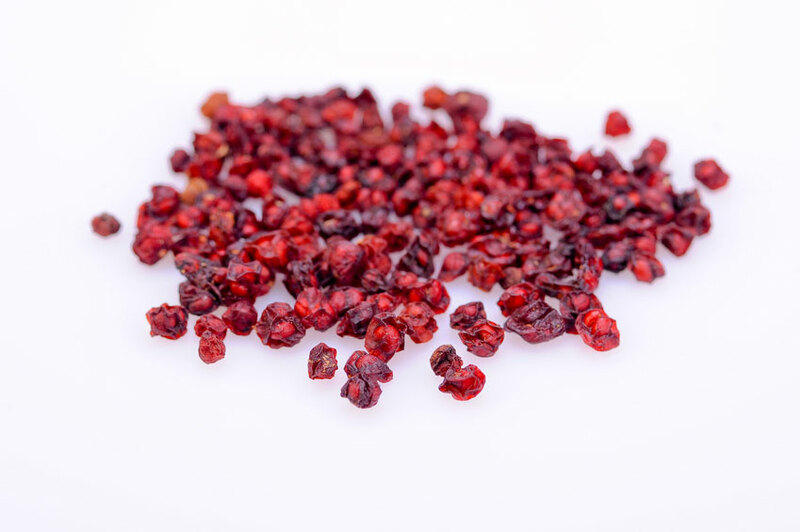 Our beauty complex is a potent mix of three of some of the most powerful beautifying substances on the planet: tremella, schizandra berry and goji berry. From a medicinal mushroom that was used by one of China’s most beautiful women to a superfood superstar, each ingredient brings its own anti-ageing benefits to the mix. A daily dose of this concentrated powder will help to cultivate radiance and true beauty from the inside out. What Are the Benefits of the Beauty Complex? Tremella, also known as the silver ear mushroom, is a medicinal mushroom that is both a culinary delicacy and a superfood. 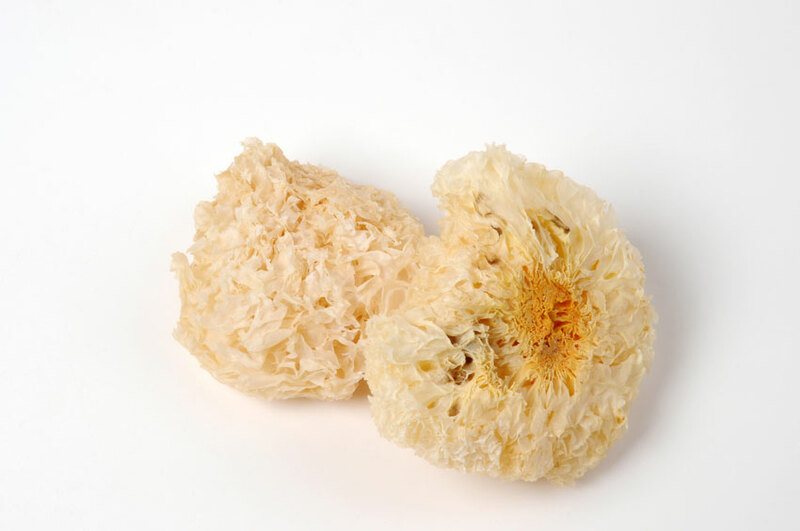 Legend has it that the Chinese beauty, Yang Guifei, used tremella as part of her daily beauty regime. Also known as the wolfberry, goji berries are tiny red berries which have been used for over 5,000 years in Traditional Chinese Medicine. They are rich in polysaccharides, beta-carotene, essential fatty acids, thiamin, calcium, iron, selenium, vitamin B1, B2, B6 A and E. The antioxidants fight free radicals to reduce oxidation which causes premature ageing, and the carotenoids in goji berries help to protect the skin from UV damage. Goji berries also contain Vitamin C and amino acids, both of which encourage the skin to produce more collagen. Schizandra berry is another small red berry that fruits in clusters on woody climbing vines. The antioxidant-rich superfood supports liver detoxification by stimulating enzymes and promoting cell growth. When the liver is functioning optimally, it has a knock-on beautifying effect which can help to even skin tone, soothe skin inflammation and reduce redness in the eyes. Schizandra also has astringent qualities which reduce the appearance of fine lines by enabling the skin to retain more moisture. While this is labeled as a beauty-enhancing supplement, its benefits go far being the ones that you will notice in the mirror. By consuming the powder daily you’ll also be flooding your body with additional nutrients, so you’ll be likely to notice a boost in energy, more mental clarity, improved sleep and increased vitality. Why Choose Our Beauty Complex? What is Organic Miron Violet Glass? The incredible properties of violet glass were first discovered by the Ancient Egyptians. They found that the glass had the ability to filter out sunlight, which helped to preserve the freshness of precious essential oils, lotions and potions. We immediately pack our beauty complex into miron violet glass jars after we create the blend, so you’ll receive a fresh complex with an extended shelf life. A bonus is that this jar will also beautify your kitchen cupboards or pantry, plus it can be reused and recycled. How Do I Use the Beauty Complex? Our beauty complex has a lovely toffee-like scent. With its delicate, naturally sweet flavour, you can simply dissolve a teaspoon of the powder into a mug of warm water to create a delicious tonic tea. Blend some into a superfood green smoothie or juice, and you’ll be creating a powerful superfood elixir that your body will thank you for. The beauty complex can also be used in foods: sprinkle it over soups, or add it to protein balls, raw chocolate or dips for an extra dose of goodness that will make your skin glow.